National Coffee Day arrives on September 29, 2018 and a number of popular coffee spots will be running free or discounted coffee promotions to help you celebrate. - Caribou Coffee (includes Einstein Bros. locations that serve Caribou Coffee) - September 29 - Free coffee of the day of any size with any food item purchase. - Circle K (mobile app required) - September 29 - Free medium Premium Coffee and a free Belvita Breakfast Biscuits. - The Coffee Bean - September 29 - Free regular coffee or tea with any $2 food or bakery item purchase. 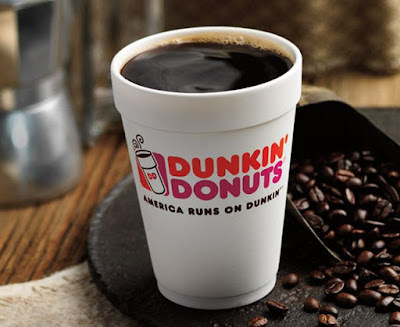 - Dunkin' Donuts - September 29 - Buy one, get one free hot coffee at participating locations. - Holiday Stationstores (you need to text "COFFEE" to 44022, to get the freebie) - September 29 - Free coffee of any size. - Krispy Kreme - September 29 - Free coffee of any size at participating locations. Additionally, Krispy Kreme Rewards members also get a free donut to go with the coffee. - Love's Travel Stops - September 28 and 29 - 24-oz coffee or other hot beverages for $1. Money raised from discounted coffee benefits Children's Miracle Network Hospitals. - Pilot Flying J (mobile app required) - September 28 and 29 - Free coffee of any size. - White Castle (coupon required) - September 29 - Free small coffee with any purchase.